When one thinks about the Indian Himalaya, a mystical feeling embraces the mind and soul all of a sudden. Standing like an obedient sentry of Indian Territory, this magnificent natural wonder seeks attention for its diverse landscape and spectacular scenic views. 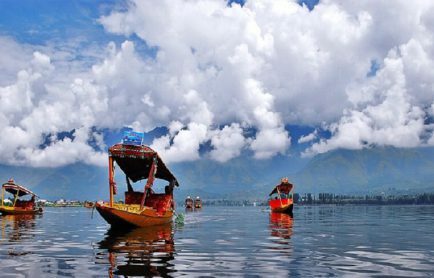 While the laureates defined the ranges as the abode of the supreme deities, modern travel experts describe these terrains as the adventurists’ delight. The localities that are built alongside the mountain ranges echo the vibrancy of the great Indian culture and present extensive varieties of foods, attires, dance forms and beverages to enjoy. Moreover, the trekking trails discovered in the lap of its snow clad cliffs let one have the best daring feel of trekking while the diverse topography of different states invite the tourists to get involved in oodles of adventure activities. For a vivid idea about the incredibility of Indian Himalaya, let’s find out the hidden gems of its luxuriant treasure trove. The Himalaya has been described as the seat of several Hindu deities especially Shiva, the purifier or the destroyer of evil. That is why only Garhwal Himalayan ranges in Uttarakhand state houses five famous Shiva Temples known together as the Panch Kedar. Moreover, the famous Chota Chardham Yatra also revolves around the Himalayan foothills in Uttarakhand state and includes century old temples of popular deities. Temples like Amarnath, which is believed to be 5000 years old, is nothing less than a natural wonder for its naturally formed ice lingam. The Nar and Narayan mountain ranges have mythological significance and temples like Vaishno Devi wins the confidence of believers for its serenity and religious references. The cave temple of Patal Bhuvaneshwar is one of the most mysterious and spiritual places and believed to be the residence of 33 Crore Gods. The Himalaya calls the adventure geeks since time immemorial and offers exhilarating experiences of trekking on its treks which are spread across different levels. While a few routes bring opportunity of walking down the green and flowery heaven on earth some other brings opportunity of climbing up the rugged mountains. The land of high passes, Ladakh has some excellent treks to add to your cherished memories. Some of the best treks in Ladakh are Markha Valley Trek, Stok Kangri Trek, Lamayuru Alchi Trek, and Trans Zanskar Trek. The treks found in Garhwal Himalayan Range pass through different types of geological formations snow-capped mountains and stunning gorges. Thick forest, oak, pine and rhododendron trees portray the surroundings of these treks. 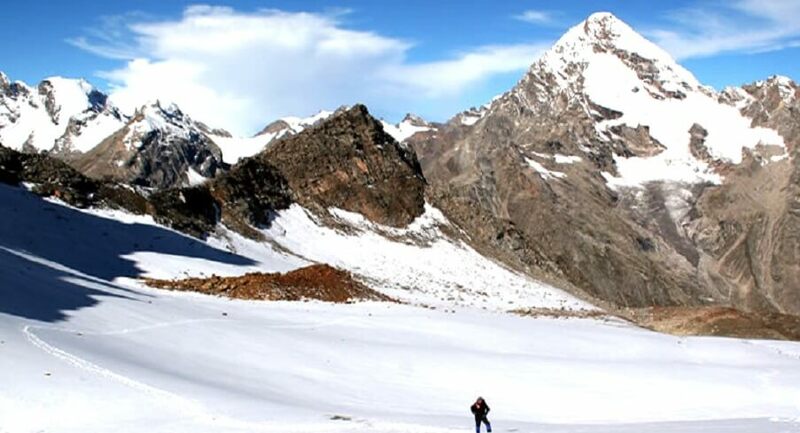 Gomukh Tapovan Trek, Valley of Flower Trek, Nanda Devi Sanctuary Trek and Kuari Pass Trek are believed to be the most promising treks in Garhwal Himalaya. Nature has bejeweled Himalaya with great care to make it the most exclusive of all mountains and best of its wonders are invented by the daring souls. Today, the spirited personae can experiment with different adventure activities and Himalayan tamed trails can offer them the best opportunities. Hiking in the Himalayas is one such option that can make one precisely aware about the natural splendor of this world famous mountain. For the best hiking experience in the Himalaya, Pindari Glacier in Kumaon district, Hemkund & Valley of Flower in Garhwal, Pin Parvati Valley in Himachal and Roopkund Trek in Uttarakhand are some of the best trails. Har Ki Doon is the least explored and most undisturbed trail in the Himalaya where the valley is adorned by the wild Himalayan flowers. However, Indrahar Pass in Himachal offers stunning views of the Indian plains in the South and snow clad Pir Panjal Range and Mani Mahesh Kailash Peak in the North. Unlike the villages found in the plains and small hillocks, Himalayan villages are ultimate destinations of serenity and abundant peace. Thick forest encloses the huts or artistically built houses which are found to be snow clad in winter. If one is on a tour to Uttarakhand, they must try to mingle with Kumaoni clans to know about their culture and lifestyle. Similarly Sirasu, a village about 22 km from Rishikesh can let you witness eye catching views of the Himalaya. Dhamond is another such village which offers excellent opportunity of driving across River Ganga and witnessing its descent over the giant boulders with strong force. Chopta is a village in Garhwal Himalaya and ideal for witnessing clear views of the Himalaya. It is also the gateway to the world’s highest Shiva Temple in Tungnath. Mana Village is the last human habitat of Indian Territory and often visited by the pilgrims by trekking. Whether it is a discussion on Himalayan Cuisines or attire, it will not be easy to comment in a nutshell. Habitats built across the folds of mountain are observer of implausible variety of dance forms, festivals and social celebrations. Some of the dance forms are associated to marriage ceremonies and performed with great pomp and gaiety. Choliya and Jhora Dance of Kumaon, Nati of Himachal, or Bagstonrches of Ladakh are the dances performed during the wedding ceremonies. The dance forms of Kashmir are unique in nature for their vibrancy and costumes worn by the performers. Rouf dance is performed to welcome the spring season while Ladishah is a dance form staged during harvesting period. Despite presenting the enlivening dance forms the cuisines made in these households are mouthwatering. Sidu is a famous cake of Himachal Pradesh, while aktori is especially made in dehydrated region of Lahaul-Spiti valley. Grilled fishes, chicken Anardana and Kullu Trouts are some of the stand outs in non-vegetarian category and Sepu Vadi, Gucchi Mattar are mouth watering vegetarian dishes of Himachal. However, Jammu is more famous for its 36-course meal called Wazwan which is presented with 30 non-veg dishes. The need of earning a livelihood is a crucial issue in today’s socio-cultural context and youngsters need to leave their households for getting better scopes. As a result the indigenous culture of the tribal communities is being affected. But, these cheerful, welcoming people are somehow pretty conscious about their own culture and most of these celebrations are regularly organized during various social gathering or ceremonies like wedding, birthday, harvesting or welcoming different seasons.